Hannah and Matt’s love affair with Tuscany was the inspiration for this intimate winter wedding. 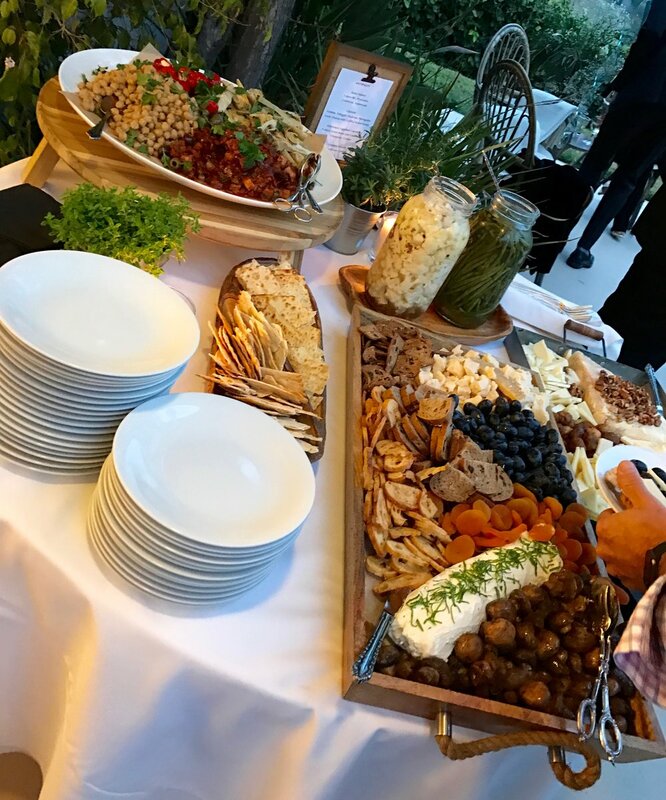 Guests spent the cocktail hour indulging in Italian salumi, formaggio and antipasti. For dinner we served a buffet of hearty vegetable dishes, along with a salmon entree. 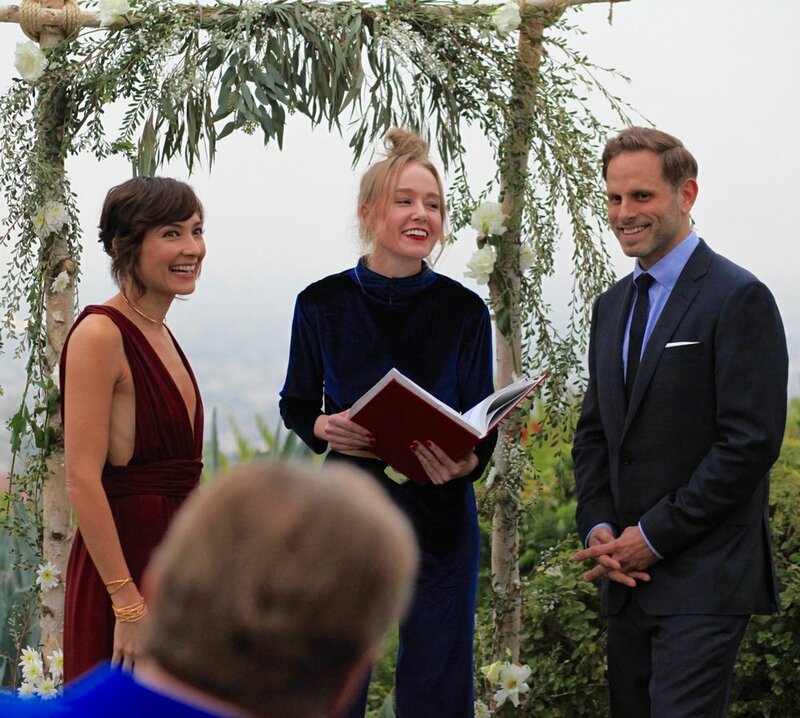 The glamorous setting: a mid-century gem in the hills above the Sunset Strip, with breathtaking sunset views as a backdrop for the ceremony.